One of the strange things about Surat Thani Railway Station is that it is not in Surat Thani, but another town called Phunphin about 16 km away. There are no tourist attractions in Phunphin and the only reason most people ever visit this town is to go to the train station. 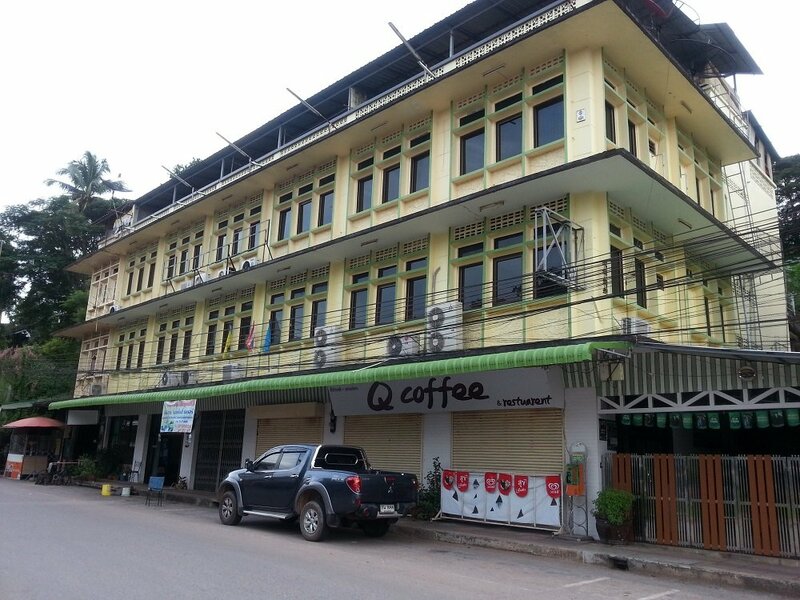 As a consequence, Phunphin has only three hotels, and there is only one on the main street near Surat Thani Railway Station: the infamous Queen Hotel. From Surat Thani Railway Station it is very quick to walk to the Queen Hotel and it is easy to find as it is the only hotel on the only major road. To get there all you need to do is to come out of the main station entrance and turn left, and follow the road as it curves to the right. Cross over the road when you get to the 7Eleven store and it is to the left of the Family Mart. 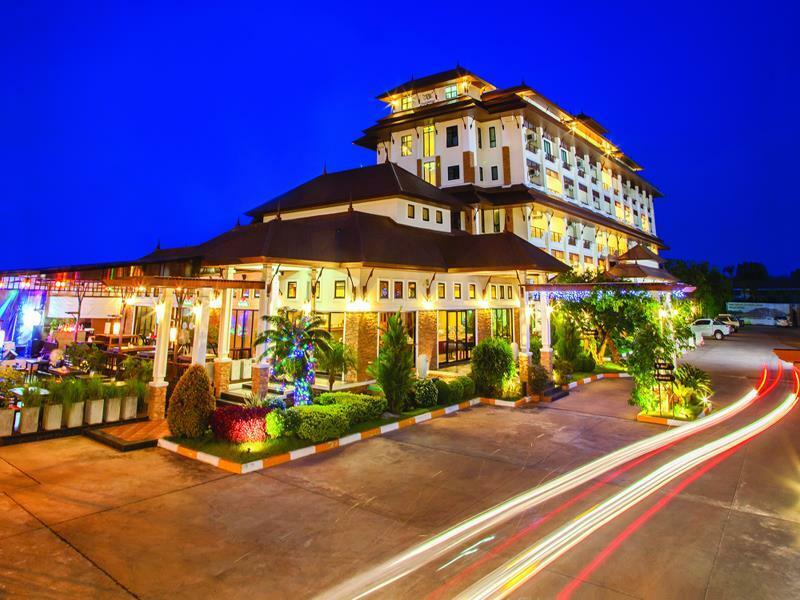 It is the closest hotel to Surat Thani train station by a long way and it also has the only indoor restaurant in the town. 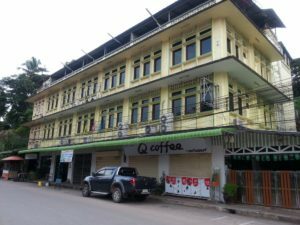 The Queen Hotel was built sometime in the 1980s when tourism in Koh Samui first started to become popular and the hotel has not much changed much since then, with the exception of air-conditioners being installed in some rooms along with satellite TV. It may have been cleaned a few times as well, but not many. Overall the Queen Hotel is something of a throwback to a bygone era when the majority of the visitors were backpackers on a very small budget and prepared to accept very basic accommodation so long as it did not cost very much. You can look at the Queen Hotel in two different ways. 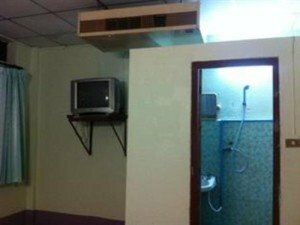 On the downside it is a poor quality hotel in need of modernisation by way of a radical refurbishment and a new more attentive and polite compliment of staff. 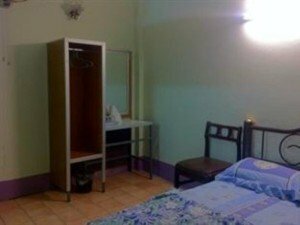 On the plus side it is cheap (only 240 THB for a fan room or 400 THB for an air-con room) and it is convenient because it is close to the train station. 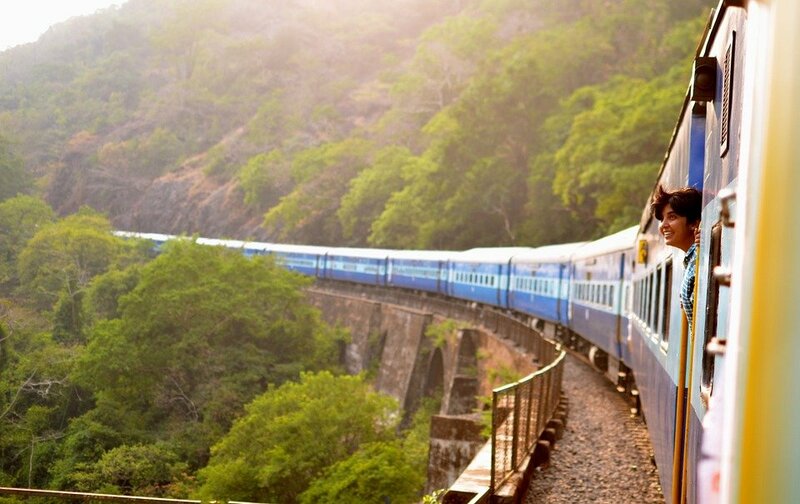 If you have a late train, or a delayed train, we strongly suggest that you will benefit from booking a room here even just for a few hours. However bad the rooms are they are way better than sitting for hours at Surat Thani train station waiting for a delayed departure. Surat Thani Railway Station has no comfortable seating and there are quite a few mosquitoes. 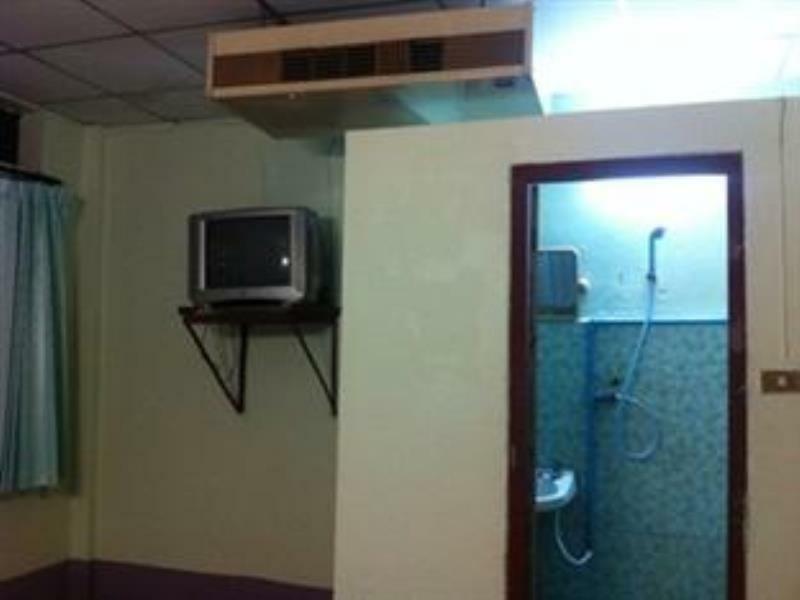 By comparison the less than ’boutique’ rooms at the Queen Hotel are luxurious, and you can also have a shower before embarking on the next stage of your journey. If you would like to spend the time before you get on the train drinking alcohol it is worth bearing in mind that this has now been banned from all railway stations in Thailand. The Queen Hotel also serves as a handy place to drink with friends before you get on the train.